How can I have a Hair extreme Make over in Uganda? It’s a dream come true for every woman to look attractive and beautiful, they will do whatever it takes to have a great appearance. Hair is something that every woman is so conscious about. However much women put on expensive clothes and perfect makeup, if hair is not well done, they will not feel confident about themselves. Some woman does not have time to look after their hair well and yet what it takes is to have the right hair products. The products are available on the markets and for all types of hair for example dry, frizzy and many others. Don’t just visit a salon without any idea of what type of hair product is good for your hair. If you are not sure, you ask your hair specialist or search on the internet for the best hair products. Once the right hair products are used, you will have the best hair and every woman will ask you where you did your hair from. What should I consider while choosing the hair products to use on my Hair? Hair products such as conditioners and shampoo have a good smell, as they wash your hair with these products you will feel more calm and relaxed. The hair dresser massages your head and the whole process is just wonderful. What makes my hair beautiful is that i use hair products like pureology and Paul Mitchell Tea Tree, they are costly but with the best results. Try using these products and you will never look back. With this generation, women are coloring hair; they want to look attractive and a bit younger. Truth be told, this idea is great although you must get a hair specialist who can surely do it well. Look for conditioners and shampoo that will protect the color in your hair, they are those products that are designed for that particular purpose. Believe me your hair will stay longer than what you expected, it will hurt you so much if you spend your money on coloring your hair and within no time it fades because of the certain conditioner or shampoo that you used. I still emphasis pureology as the best hair products but those women with less money may use Biolage, it’s a good color care product. The best way to know that this hair products works for me is by trying different products, through this you will stick to one. Some women think that when they use expensive hair products, they have the best hair. This is not true, cheap products that can also do wonders. All you have to do is to spend some amount of money on the product assigned to your hair to make you feel good and confident about yourself. The best place to buy from your hair products is the salon, you will be advised on what is good for you and still get something genuine. Purchasing from the retail shops may not give you the best results this is because they will ill-advise you on a certain product as the best and yet it will just damage your hair. As you are in a salon, you may ask your hair dress to explain what difference is between products. The discussion will be interesting and by the time you live the salon, you may have learnt a lot about different hair products. Any hair stylist will be glad to answer any questions asked by the customer. Hair care products come in different collections and some are specialty products meant for demanded hair. Depending on the type of hair you have, the stylist will give you a product that will suit your hair and still make it regain its growth. By just getting the textures and length of hair, they will advise on what styling products to use for your hair. Natural hair products are the best for any kind of hair; it gives you an attractive and perfect look. 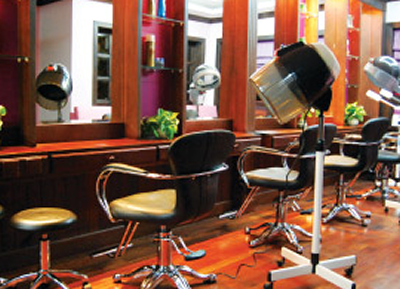 Retail stores have all kinds of hair products which may not be the case with all salons. Purchasing a product from a shop may be easier and cheaper than a salon although you may not get a genuine product from the shop. They usually duplicate these products and that is why they damage people’s hair. Kind request goes to all women to take time and buy from salons; they may be expensive but have the right products for your hair. This will give you the confidence you need to appear great and gorgeous.